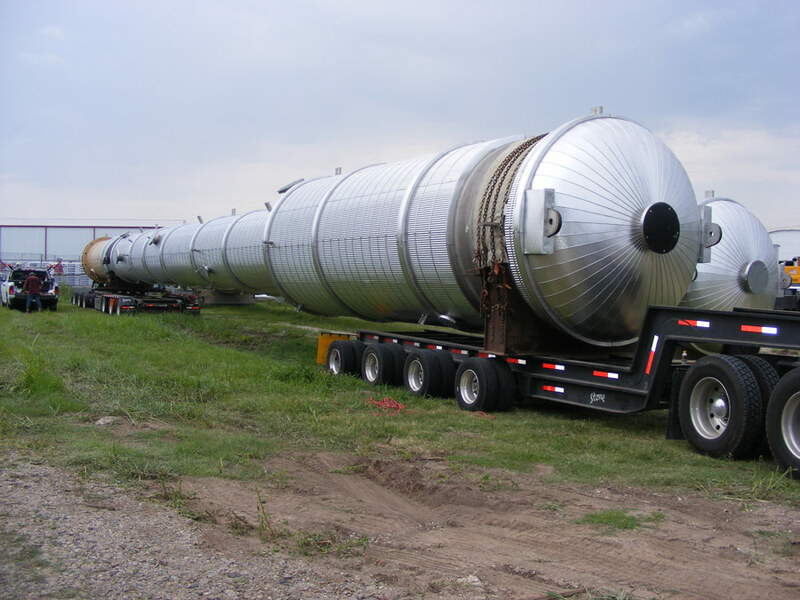 Boardman is an industry leader in the design and fabrication of trayed & packed towers and distillation columns. Trayed and packing tower are used to increase the contact area over which mass transfer can occur and mass transfer theory dictates. Distillation columns are one of the most common separation processes and can be used to separate binary or multi-component mixtures. There are many variables that come into play on distillation columns that are determined by the properties of the feed and the desired products.Distillation columns & stabilizers are used for the processing of oil into its many properties and are involved in the creation of plastics, paint thinners, motor oil and other products used in everyday life. Demethanizer Tower - heat up the inlet gas feed just enough to release methane and condense the remaining NGL's. Debutanizer Column - a type of fractional distillation column used to separate butane from natural gas during the refining process. Deethanizer - separate methane & ethane which leaves the top of the column and is used to generate steam for the reboiler of the column. Depropanizer - a type of distillation column used to isolate propane from a mixture containing butane and other heavy components. Absorber Tower - bring gas & liquid phases in contact so that the contaminants in the gas phase absorb into the liquid phase as a result of their interaction. Adsorber Tower - adsorption involves the separation of a substance from one phase, accompanied by the accumulation of that substance at the surface of another phase. Stripper Column - used to remove unwanted materials from process streams. Stabilizers - stabilizers remove the residual gaseous hydrocarbons and light liquid fractions from petroleum after the initial degasification. The efficiencies we have gained over the years of fabricating towers and columns have enabled us to serve a wide range of industries including natural gas processing, chemical processing, refineries and petrochemical. We have the ability to install trays, packing and downcomer piping as well as test fit ladders and platforms. With a maximum outgoing shipping weight of 350 tons, Boardman can meet nearly any volume and size requirement with a variety of materials including carbon steel, nickel and duplex. We build and design to ASME Section VIII Div. 1 to assure the highest standards. Contact us today to begin your trayed tower or column fabrication project today.